Cremated remains are interred to the left of the entrance gates. This area was originally a mass famine grave and later used for patients of the Dundrum Central Mental Hospital. Old records refer to this area as the Asylum Plot. A back gate to the church was only recently uncovered under much overgrowth. Although it had been used by teachers as a shortcut between the Church (when it was being used as a boys national school) and the nearby girls national school, its original function is said to have been as an entrance for Roman Catholics when attending funerals at a time when they were barred from entering the main gates of a Protestant church. Many Irish Republican graves lie within the graveyard, including the gravestones of Lorcain McSuibhne, a member of the Irish Republican Army killed in 1922 in Kildare (his funeral occurred at St. Nahi's and there exists photographic evidence of Éamon de Valera in attendance) and of James Burke, who was killed in Croke Park on Bloody Sunday. There is also a 1798 plot where some fatalities of the 1798 uprising are buried. The graveyard also contains many Royal Irish Constabulary Officers and Freemasons. Just one casualty of the Second World War is recorded there. Sgt. William Anthony Kavanagh, RAF Volunteer Reserve, age 24, died 23 sept 1944, son of William and Mary Kavanagh of Dundrum. The site also contains the grave of the Irish physicist George Johnstone Stoney, who was a long time Dundrum resident and who gave his name to the nearby Stoney Road. 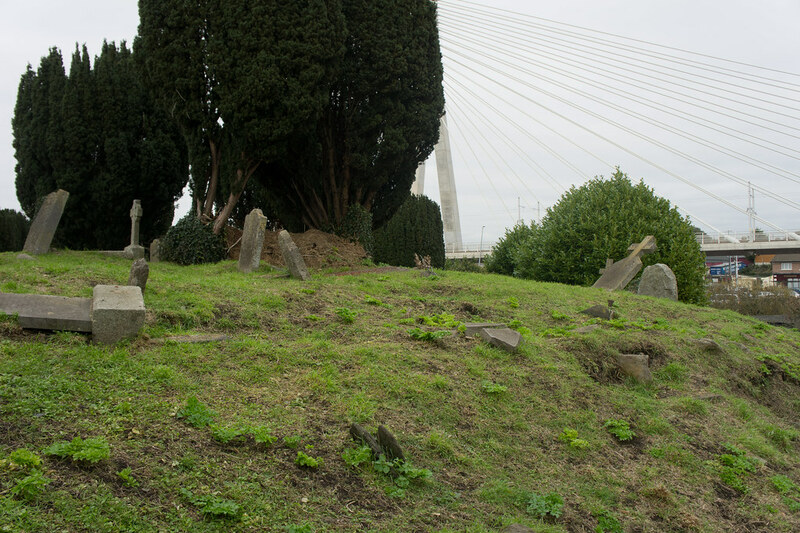 Currently over 10,000 burials have been recorded, with the earliest visible gravestone dating back to 1734. 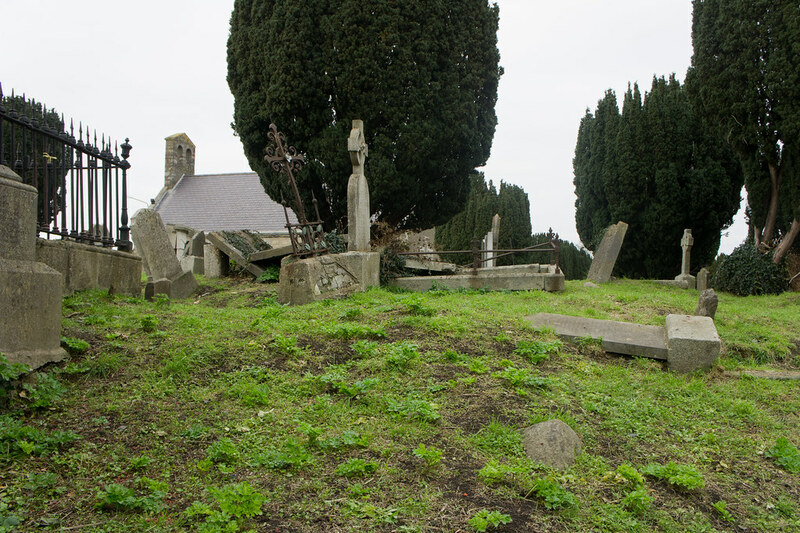 The Parish of Taney: a History of Dundrum, Near Dublin, and its Neighbourhood published in 1895, claims that there are “tens of thousands” of burials within the graveyard, a credible figure considering its age. 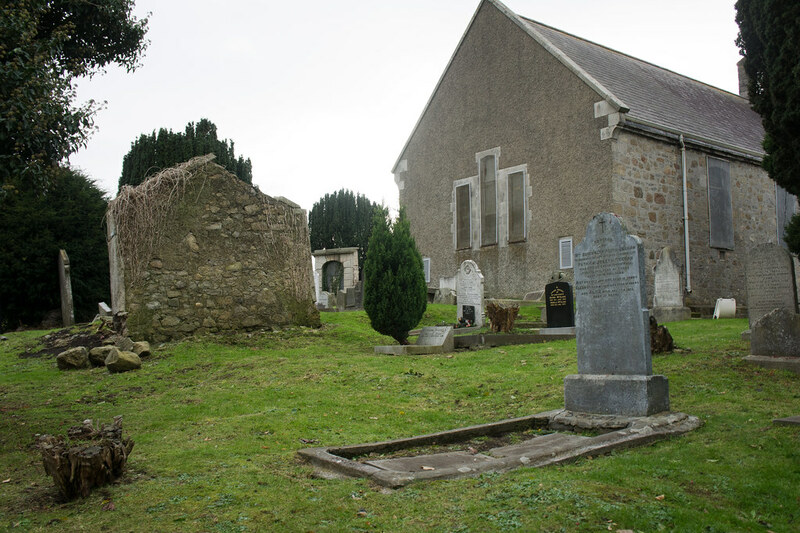 As the churchyard predates the disestablishment of the Church of Ireland in 1869, it is open for burial to all those who live within the boundaries of the Parish of Taney, whatever their denomination. The church contains some interesting artefacts including the baptismal font of the Duke of Wellington who was baptised in 1769, donated to Taney Parish in 1914 by the closing of St. Kevin’s Church in Camden Row, and altar tapestries depicting scenes from the Bible. The tapestries illustrating the Last Supper were made by the two Yeats sisters Lily and Lolly Yeats, both of whom are interred in the graveyard. Two Rathdown Slabs are displayed inside the church. These ornate burial slabs date back 1,000 years to the Viking-Christian era. Such slabs have only been found in the barony of Rathdown (the area roughly covering Churchtown to Bray). 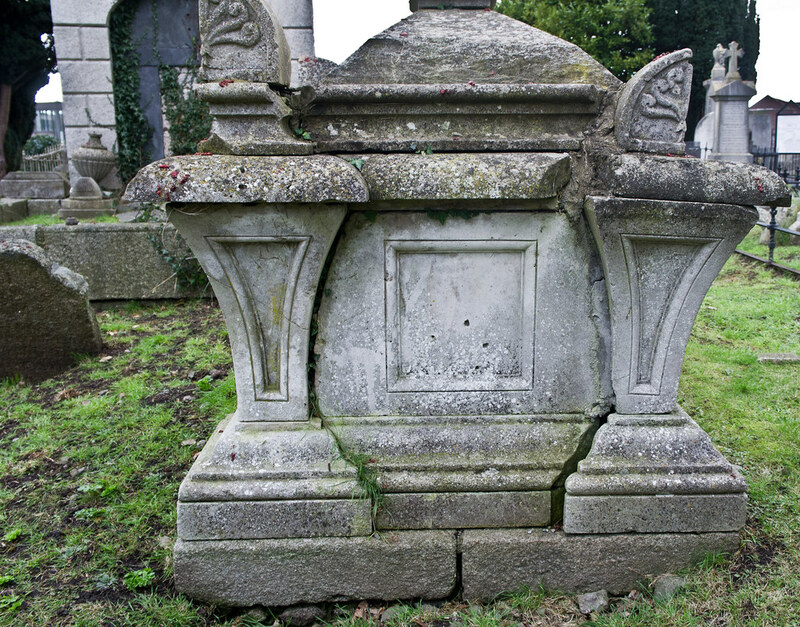 Only about 30 of these slabs have been discovered to date, these two were discovered in 2002 in the graveyard by archaeologist Chris Corlett, who had missed his bus from Dundrum and decided to explore the cemetery. Aided by Dúchas, the slabs were relocated inside the church. An insight into life expectancy for the area can be gleaned from the "Index to the Register of Burials" for the parish between January 1897 and April 1917 show 1,836 people buried during this period, of which 551 were children under 6 years of age.